The 10th Round of Pakistan-Republic of Korea Bilateral Policy Consultations was held in Seoul on 7th November 2018. 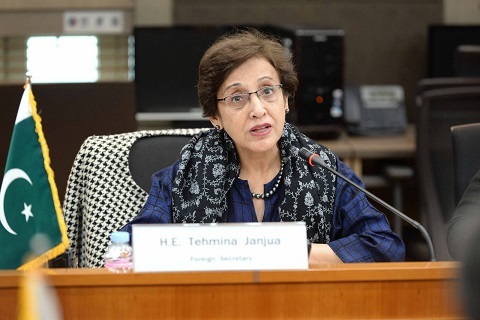 Foreign Secretary Tehmina Janjua headed the Pakistan delegation, which included the Ambassador of Pakistan to Republic of Korea, H.E. 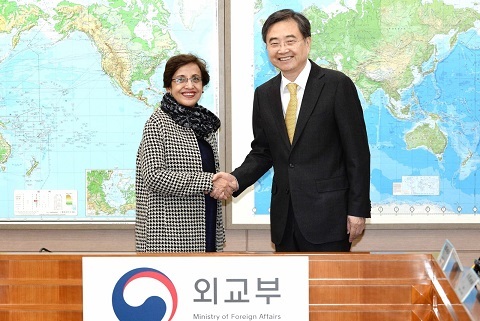 Rahim Hayat Qureshi and Director General East Asia Pacific, Ms. Samina Mehtab, while Mr. Cho Hyun, 1st Vice Minister for Foreign Affairs of Korea, led the Korean side. 1. Before the Consultations, the Foreign Secretary met with the Foreign Minister, Ms. Kang Kyung-Wha and exchanged views on the need for closer cooperation between the two friendly countries. 2. During the discussions between the Foreign Secretaries, the two sides reviewed the entire gamut of bilateral relations and identified opportunities and possibilities for further deepening the relations in all fields, especially in the spheres of trade, investment, education, culture and parliamentary exchanges. 3. The two sides agreed in principle for the need of high level visits from RoK to Pakistan to establish closer cooperation in various fields of economic reform and regional peace and security. 4. Pakistan side welcomed the designation of Pakistan as a “priority partner” for Korean Economic Development Cooperation. 5. Enhancing cooperation in culture, education as well as in new fields such as forestry and climate change initiatives were also discussed. 6. Discussions were also held regarding regional security situations in south Asia and the Korean Peninsula. 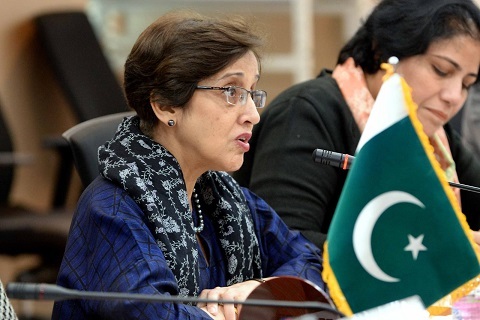 Pakistan highlighted the importance of resolution of Kashmir Dispute for peace in South Asia and the Korean side briefed on the positive developments for establishment of ‘peace regime’ on the Korean peninsula. 7. The 10th Round of Bilateral Policy Consultations provided a useful platform to review progress in various fields and to set trajectory for further cooperation between the two sides. 8. The Foreign Secretary also interacted with members of the Pakistani community who had contributed funds for the Dam Fund. She thanked them for their generous contribution to this national cause.